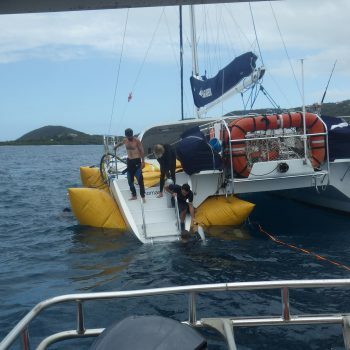 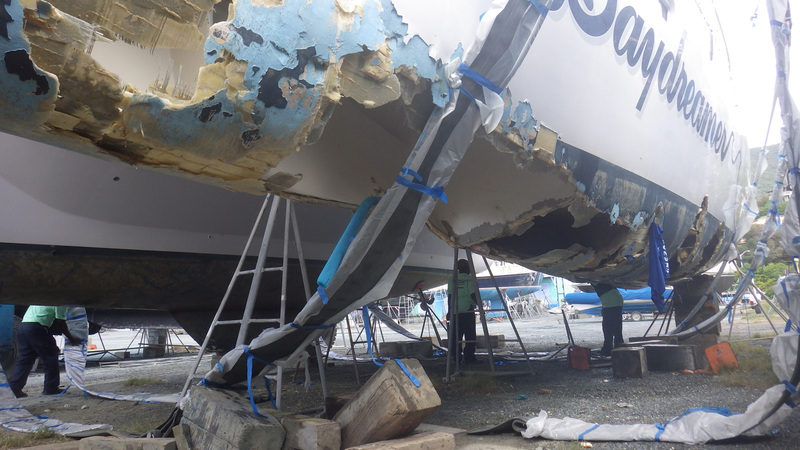 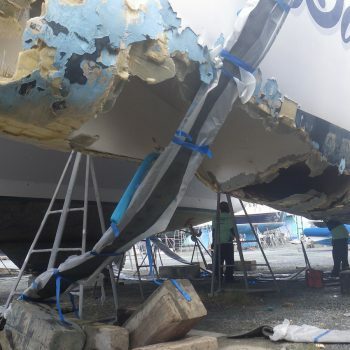 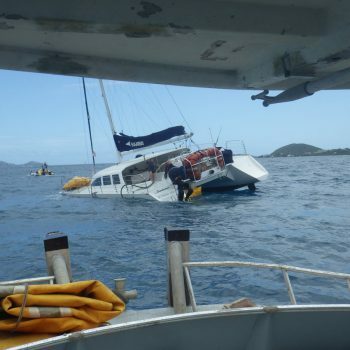 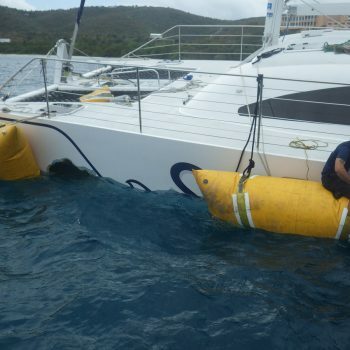 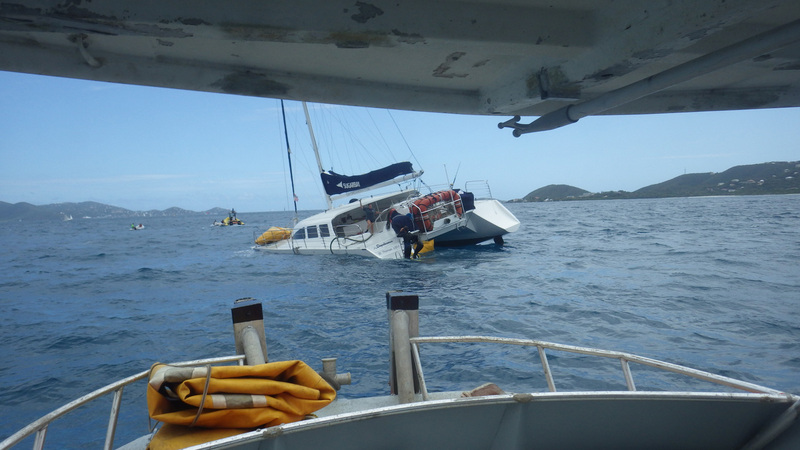 SALVAGE OF CATAMARAN ‘DAY DREAMER’ FROM ST THOMAS, UNITED STATES VIRGIN ISLANDS. 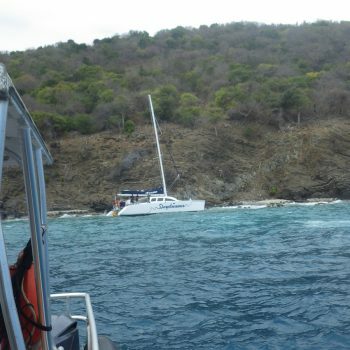 Kevin Rowlette from Husky Salvage and Towing received a call from Sea Tow in St Thomas, U.S.V.I, requesting assistance with a catamaran that was grounded on the rocks in St Thomas. 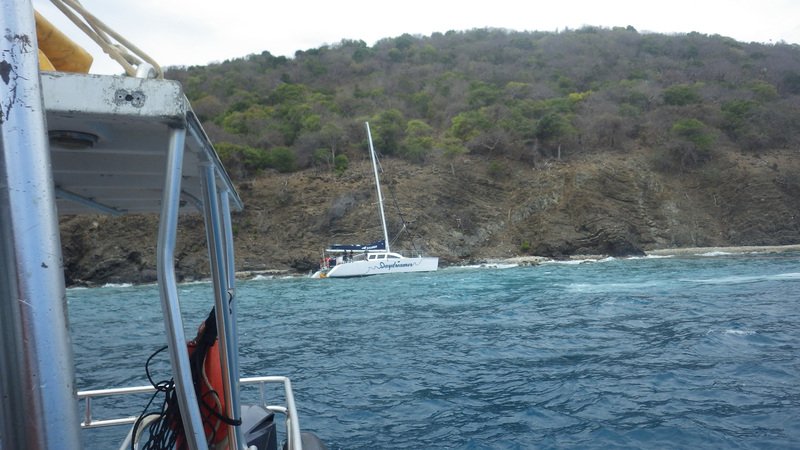 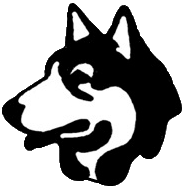 Husky crew and Husky Chase departed Nanny Cay Marina for St Thomas. 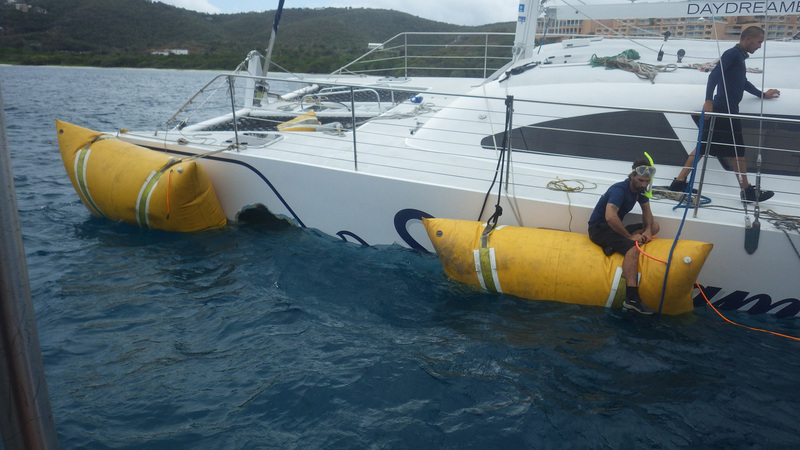 Husky Salvage assisted Sea Tow with lift bags to re float the vessel. 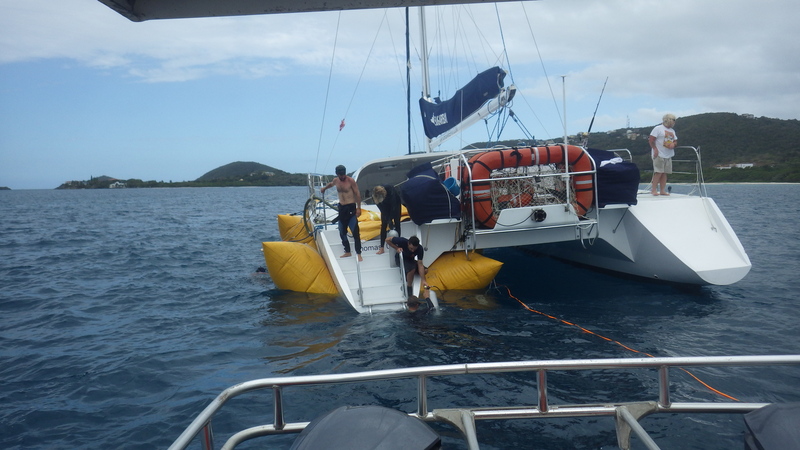 ‘Day Dreamer’ was successfully re floated and towed back to Nanny Cay Marina to be hauled out and for repair work to begin.